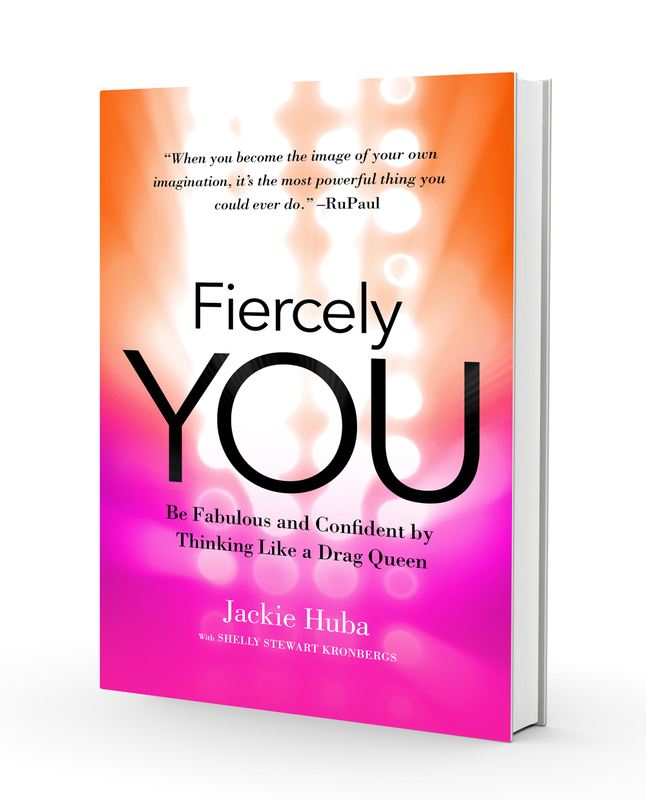 For press inquiries about Fiercely You, please email Jackie Huba at Jackie [at] JackieHuba.com or call 512.394.8832. Click HERE to download a PDF of the press release for the new book Fiercely You. 09.28.16 Huffington Post: "Author And 'Lady Trinity' Jackie Huba — 'I Want People To Feel Liberated To Do Things They Want To Do & Not Be Afraid'"
09.07.16 The Rainbow Times: "Fall Book Box: Great LGBTQ Reads & Giveaways for September"
09.01.16 Q Magazine (Australia): "q books: FALL / SPRING BOOK BOX"
08.30.16 San Antonio Current: "Female Drag Queen Jackie Huba Shares Her ‘Keys to Fierce’ at Wednesday Book Signing"
08.29.16 Out in SA: "‘Thinking Like a Drag Queen’ With Best-Selling Author Jackie Huba"
08.24.16 OUT Traveler: "Austin Pride Welcomes Its First Female Drag Queen to the Stage"
08.24.16 Space Gypsies: "How to Channel the Power of Drag"
08.24.16 Austin American-Statesman: "Jackie Huba: Austin’s female drag queen"
08.23.16 OutCast Austin radio interview: listen HERE. 08.19.16 Hot Spots Magazine: "Summer Reading: 3 Books We Recommend"
08.15.16 The WOW Report: "Book: How To Become “Fiercely You”? Get Yr A$$ In Drag, Duh!!!" 08.11.16 About Magazine: "Making Herstory At Austin Pride With Jackie Huba"
07.12.16 Fast Company Magazine: "6 Personal Branding Secrets from Drag Queens"
04.27.16 The Austin Chronicle: "A Dragtastic Weekend Austin International Drag Festival returns for its second year"
11.10.15 Vancouver Sun: "What’s On: TEDxVancouver, Jerry Seinfeld, Ride and more"
06.01.15 Forbes: "Build Fan Loyalty Like RuPaul And America's Top Drag Queens"
07.24.14 Austin American-Statesman: "Jackie Huba on Austin drag culture"
Click on image to download a high resolution version.